When basketball players think about where they want to play and agreeing to a transfer, there are many things to take on board. Players will want to think about the wages they receive, the players they will play alongside, the coaches they will take orders from and the chances of success. Players will also want to think about the location of their new team. Some players prefer the quiet life and some players look to be in an area of great excitement and action. For Samuel Dalembert, who has just made the move from Dallas to New York to play for the Knicks, being closer to home was a major reason for him to be happy with the move. The player, who spend time in Montreal every summer meeting friends and family, thinks this will be an excellent chance for a lot more of these friends and family members to come and see him when he plays during the season. 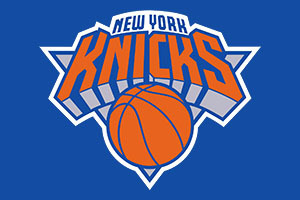 There is another reason for Dalembert to be happy though and this is down to the fact that the Knicks are heading to Toronto to take on the Raptors in the preseason. He will be in the Bell Centre on the 24th of October to take part in a series of games that are being sponsored by Bell and NBA Canada. Dalembert said that while he likes to play to some basketball with his friends when he is home, the last time he got to play basketball in Montreal was when he was in high school. When you think that the player has been in the NBA for 10 years, this was clearly some time ago. Dalembert moved around as a kick and after being raised in Haiti, he moved to Montreal, which is where he developed a love of the game. He was a keen player at Polyvalente Lucien Pagé before making his way to the United States of America. The players’ thoughts at this time were getting into a high school that was noted for basketball and then get a scholarship, with the NBA being far from his mind. However, after just two years at Seton Hall University, Dalembert was on his was to Philadelphia as the 76ers made him a first round pack in the 2001 NBA Draft. The player was quickly recognised as a shot blocker and he has some current statistics that will astound you on that matter. 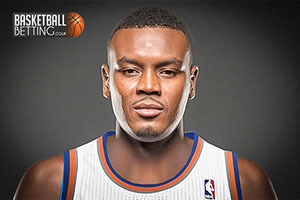 Dalembert is the 34th ranked all time shot blocker and with respect to players still playing, he is seventh. This is not a bad statistics to have around you and it is easy to see why teams are still interested in getting him on board and seeing what he can do for them. Dalembert was a group of Canadians that made their way into the NBA and the flow of success doesn’t seem to be diminishing. Steve Nash, who is a two times NBA MVP, led the way for Dalembert and since then there have been players like Anthony Bennett and Andrew Wiggins who have grabbed the headlines on NBA Draft Day. There are still plenty of places in Canada where hockey is the number one sport but it seems as though NBA Canada is doing its best to make a mark on the country. During the pre-season period, the organisation kits out gyms with many clubs receiving new backboards, new logos for their court and a fresh supply of regulation basketballs. These may seem like small things but they help to create a proper connection between youngsters and the sport. Having players like Dalembert continue to play at the top of the game isn’t going to hurt either, so you can expect basketball to continue to be popular in the NBA.